There’s something in the water… Texas has long been considered the Birthplace of Legendary Guitar Masters. These Phenomenal Guitarists will blaze exciting new trails throughout Texas and the rest of the country. 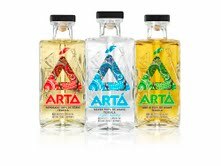 The Texas Guitar Army is extremely proud to announce ARTA TEQUILA is sponsoring our 2014 US tour. What could possibly be more perfect than a shot of the finest tequila with your Texas Rock and Roll?